Banana Bread for One, Please! Oh my goodness. I just died a little. Chocolate-Covered Katie is brilliant. Brilliant, I tell you. You could double this or triple it and it would still be healthier than a muffin from Starbucks or Dunkin. I can’t wait to try out other quick mug recipes — blueberry, cinnamon, pistachio? I tested this for dessert in honor of National Banana Bread Day on Monday. (Who knew that was even a thing?) 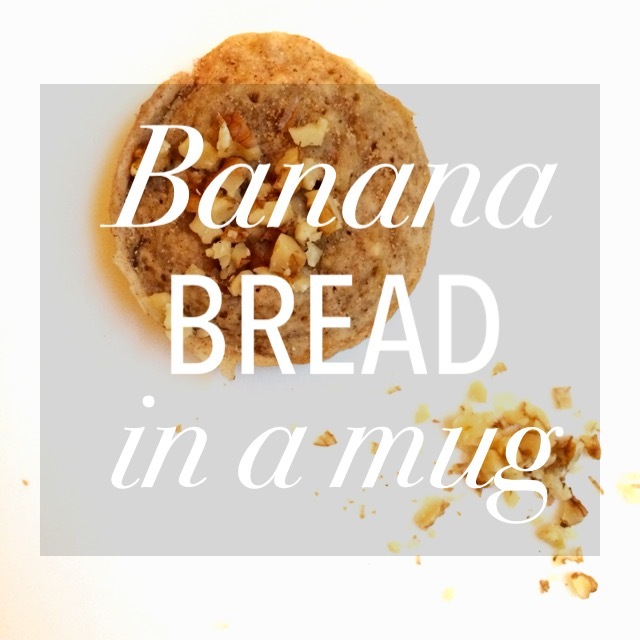 Banana Bread in a Mug, you’re my new favorite thing. In a small bowl, whisk dry ingredients together (flour through cinnamon). Fold in agave to vanilla and mix well. Grease a microwavable mug or a small microwavable bowl. Transfer batter into bowl. 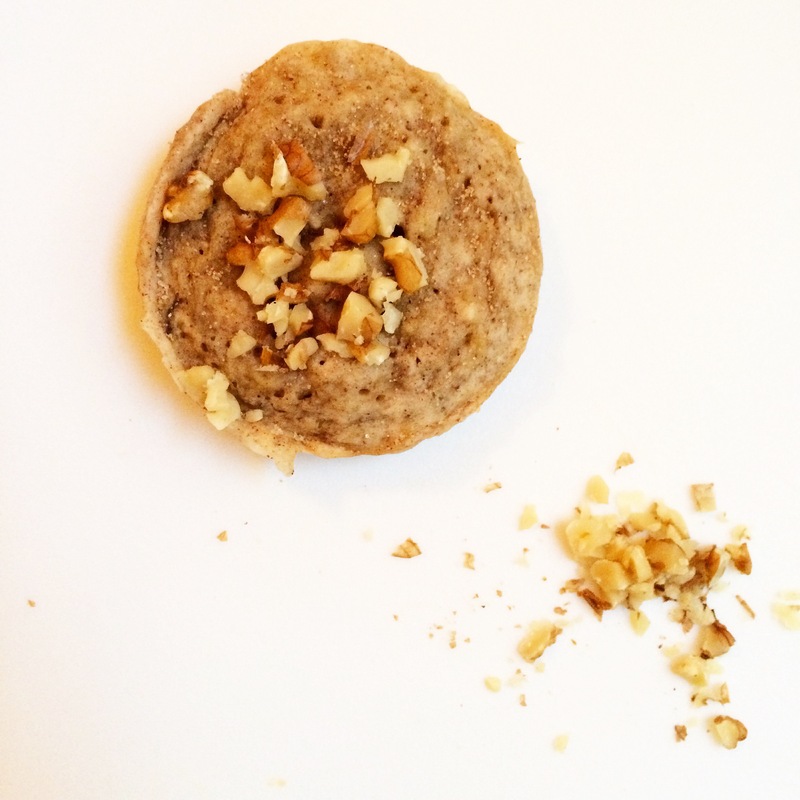 Top with chopped walnuts and cinnamon sugar (both optional). Microwave on high for 2-3 min. or until a toothpick comes out clean. It will be really hot! Allow the bread to cool in the mug or use a butter knife to pop the bread out to cool faster. 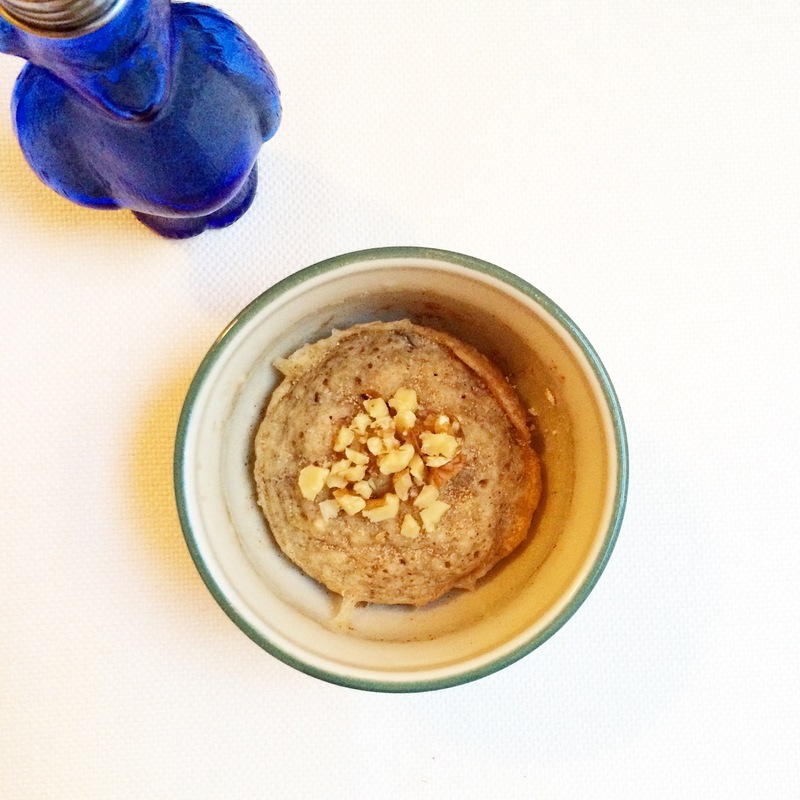 Adapted from Chocolate Covered Katie‘s Low-Fat Banana Bread Mug Cake. Pingback: The Easiest Eggs & Toast…Maybe Ever | Eat. Drink. Savor. Repeat. Pingback: Rounding Up 2015 | Eat. Drink. Savor. Repeat.